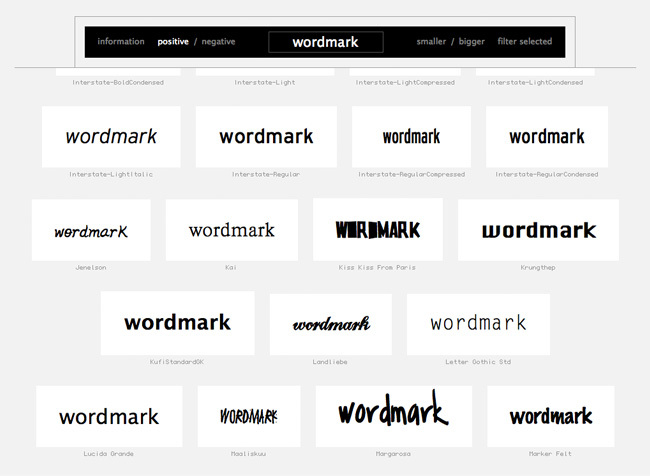 Wordmark.it is a super useful tool that installs your fonts and lets you view selected text in a clean and simple grid online. Invert the contrast to have reversed out text, change the size of each tile or isolate selected fonts and compare them. Have a play here on their website. Sydney graphic design agency Boheem began in 2004 and since then has established a notable client list and varied portfolio. We are a small team of creative individuals headed up by managing directors Claire Bonnor and Kassandra Hunt, and we love to design. We enjoy the challenge of a new brief and resolving what we believe is both best and most beautiful for a piece of visual communication.